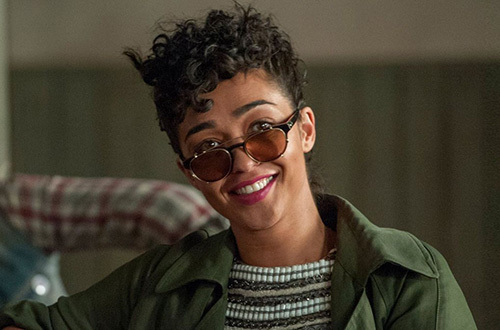 2017 is gonna’ be a big year for Irish-Ethiopian actress Ruth Negga. Not only did she take home a Golden Globe for her performance in Loving, she seriously slaaaayed the red carpet in a silver customer Louis Vuitton dress. Actual Meryl Streep gave her a shout-out during her own acceptance speech. Ruth was born in Ethiopia to an Irish mother and an Ethiopian father and moved to Ireland when she was four. Her long term boyfriend is Dominic Cooper, probably best known for his role as Sky in Mamma Mia. Girl is not afraid to speak out. ‘My job as an artist is to speak up for those who might be perceived as the losers. Or those who can’t shout,” she said a recent interview. She is dominating fashion ATM and has just appeared on the cover of Vogue as well. Expect some more serious fashion moments in 2017.